There are numerous ROMpler engines on the market, each front-ending large sample libraries and offering a degree of sound-sculpting. Soft samplers they are not, in that you can’t drop in your own audio clips and perform extensive modification. Rather, the ROMpler relies on typically huge banks of audio files, often of a specific genre or type, and such shaping tools as envelope generators, filters and ambient effects by which to customise them. 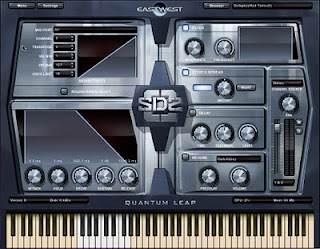 Quantum Leap, a division of Hollywood-based EastWest, is a notable player in this market and has until recently relied on Native Instruments’ technology (the Kompakt and Intakt engines) to present a diverse range of virtual instruments. However, QL has rolled out a range of ROMplers driven by the Play Advanced Sample Engine, which is included free with its latest virtual instruments. The first products to sport this new interface technology are Fab Four, Gypsy, Pianos, Voices of Passion, Ministry of Rock and the two examined below: Goliath and SD2. PLAY, while 32-bit compatible, offers 64-bit support, meaning it’ll happily make use of all the RAM on your system. There’s also Network Control, which enables you to load instruments onto other machines on the network and control them from the host workstation. The PLAY browser lists all of the instruments installed, so it’s a case of choosing a volume, previewing a patch, then loading it. When you hop back into Player mode, the interface automatically changes to match the package hosting the patch. The software runs standalone on Windows XP, Vista 32 and 64-bit [ed's note: Hang on, I am the ed. Anyway, still waiting for word on Windows 7], and Mac OS X. Also supported is VST, ASIO, DirectSound, Audio Unit and Core Audio, while certain libraries are being made available as RTAS - the SoundsOnline website can advise on availability. Incidentally, Mac users should note that, while the instruments available are compatible with both PPC and Intel models, QL suggests they perform better on the latter. That’s the underlying technology of PLAY. At the business end, each supported QL instrument sports its own interface design, complete with a moderate set of sound-tweaking tools, backed up by sound libraries ranging from the huge to the truly titanic. SD2 - The Next Generation is the successor to Stormdrum, a collection of percussion hits and loops. Its 13GB library is supplied on two dual-layer DVDs, so you’ll need an optical drive capable of reading such media. Even bigger is, as the name implies, Goliath is a pumped-up incarnation of its predecessor Colossus. Six single-layer DVDs host a 40GB install, which takes an age to load, but places more than 180 instruments and 600 patches on your more-than-necessary dedicated media drive. Piracy protection is via iLok (not supplied), so that’s another USB port gone, but it can accommodate more than 100 cross-platform licenses. Folk often talk about the ‘learning curve’ involved when mastering a new piece of music-making gear. ‘Flatline’ seems more appropriate to both SD2 and Goliath. Delving through and organising the huge number of patches is easy thanks to an elegant browser with both a Recent sub-menu and a Favorites (sic) section into which you can create folders of oft-used sounds. During testing, I loaded the core libraries onto a four-volume RAID 0 hooked up to a Mac via SATA and so sound files fair-well fly up the wire. It’s possible to load multiple patches into one instance of either product, each assignable to up to nine stereo outs, although QL reckons you’ll get better performance by loading multiple instances when running the software as a plug-in. Goliath’s interface is uncluttered, with handy Delay and ADT modules on hand, as well as a preset-driven Reverb and a Filter section equipped with Resonance and Frequency rotaries. Envelope is more generously endowed, featuring AHDSR rotaries, and all the above are modifiable via MIDI. If a master patch has multiple articulations, activated by keyswitches outside of the instrument’s range, they show up at bottom right in the Articulations window and can be selectively deactivated or unloaded. It’s an excellent way to present the possible articulations, saves an age looking them up in the manual, and the switches are clearly tinted blue on the keyboard. SD2’s interface is even more Spartan, dispensing with the Articulations window and much of the MIDI information you’d see when using melodic patches. In essence, then, it’s merely a case of picking sounds, loading them up, assigning MIDI inputs and audio outputs, making FX tweaks and bashing the keyboard. The most important thing, however, is the quality of sound. Quantum Leap does not disappoint. Both products’ multi-sampled, velocity-switching samples are rendered in excellent detail and with not an artifact in earshot. From raunchy guitars, through sonorous flutes to the lush tone of the PMI Bosendorfer 290, Goliath offers an awesome sound palette. SD2’s wide-ranging percussive timbres, meanwhile, have an excellent stage-ambience appeal, even when untreated. And there’s more than 100 score-orientated MIDI 0 performance files on hand to make programming sequences a cinch. 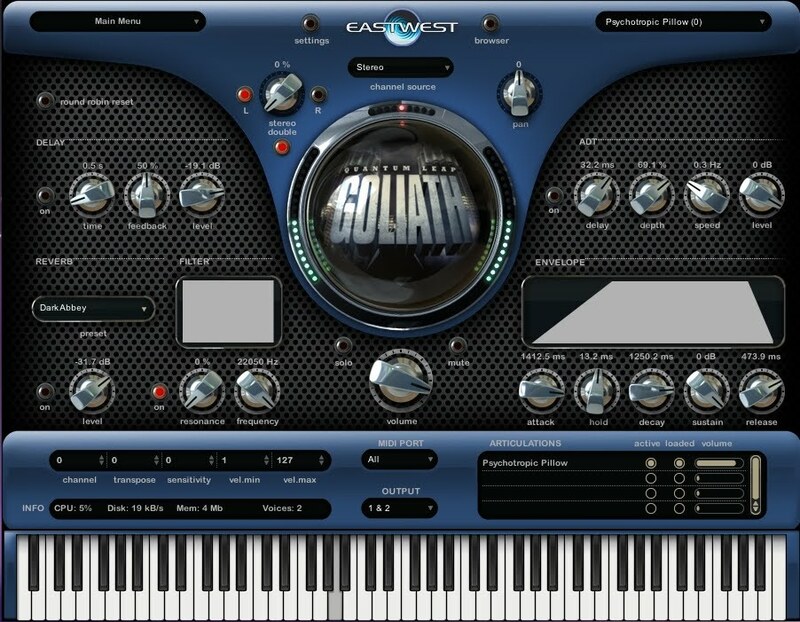 For an easily manageable and comprehensive library of staple sounds, plus numerous esoteric excursions, Goliath is hard to beat. The samples are top quality and the sheer variety of them make it a great addition to the music-producer’s arsenal. It loses a point for the meagre collection of sound-sculpting gizmos, but you've likely a bunch of FX plug-ins to hand anyway. For those seeking added percussive power, SD2 brings rock, world and even electro-glitch to the party. It's just a shame you can't drop your own samples into either product. With the PLAY engine at the heart of the product line, flexibility and ease of use are clearly high on the agenda and the prices ain't too bad considering the size of the core libraries. Make sure to take in the audio demos at SoundsOnline’s website for an earful of what this combo can do.